Domenic Troiano along with vocalist George Olliver, Pentti 'Whitey' Glan on drums, bassist Don Elliot and German-born Josef Chirowski on keyboards,they formed in 1965 in Toronto the band "The Rogues". 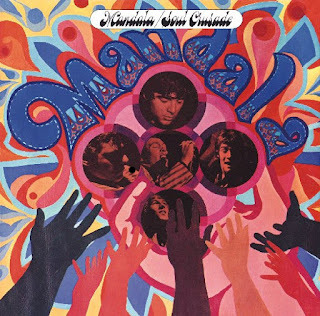 In 1966 the band changed their name to "Mandala". In the summer of 1968, Mandala's debut album, "Soul Crusade" was released. Love-itis" was the first single backed with "Mellow Carmello Palumbo" and demonstrated their penchant of blending soul with jazz-flavoured pop, eventually reaching Canada's Top 10. It failed to attract the sales the group had expected and they played their final date at the Hawk's Nest in Toronto - Ronnie Hawkins' stompin' grounds on New Year's Day 1969.